Here’s proof that a childhood spent playing video games isn’t exactly wasted. 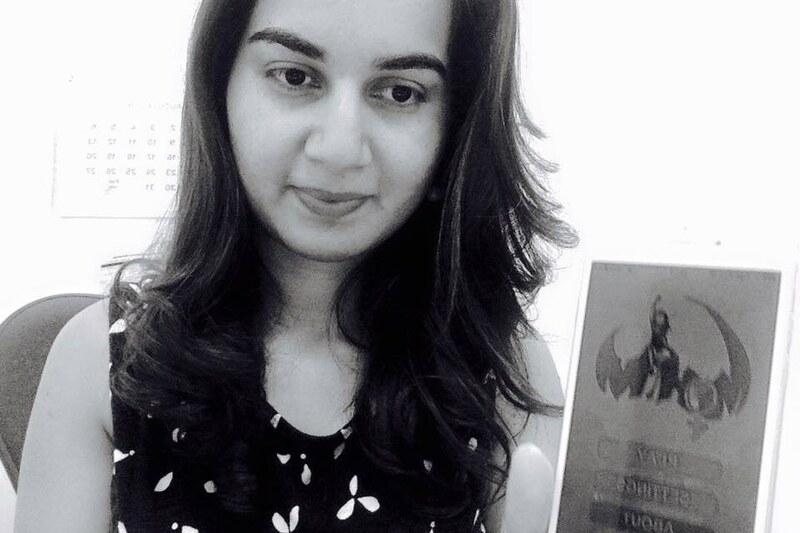 While Mariam Adil spent hours playing Sim City, Need for Speed and Grand Theft Auto, she became aware of the fact that “games leave an impression on our brains that transcends the boundaries of the virtual world”. Fast forward a decade or so, Mariam Adil, now an Operations Analyst at the World Bank, has spent the past two-and-a-half years helping to ‘gamify’ international development. 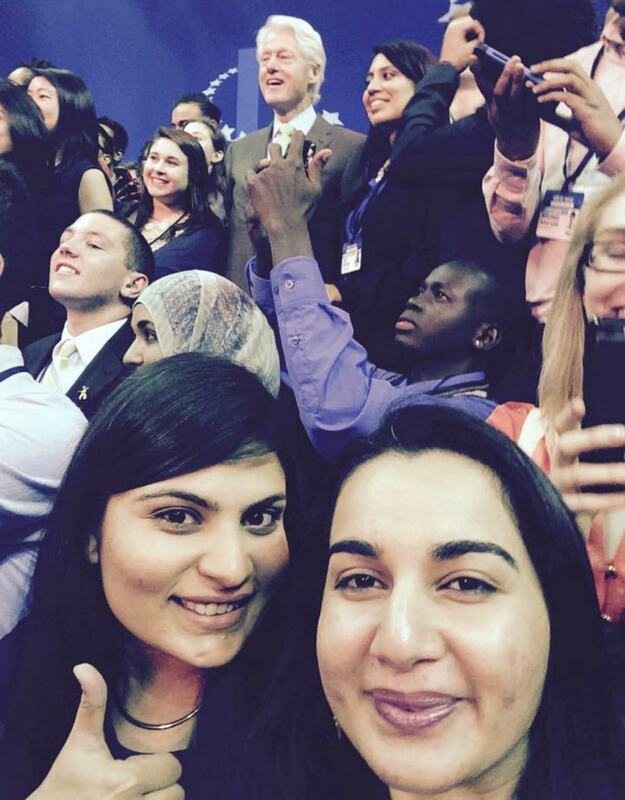 At her social venture, GRID, her team of seven – that includes CEO/Director Rizwan Nusrat, Chief Technology Officer Taimur Ul Hassan, Graphic Artist Maryam Bilal, International Development Expert Kiran Javaid, Director Jacqueline Munoz and Social Media Manager Jon Fain – create games with the aim of “making social change fun”. So far, they’ve made three games, including a PC game that served as a training tool for development practitioners, ‘Randomania’, and a Mahjong tiles-inspired, stereotype-busting mobile game, ‘Stereowiped‘. 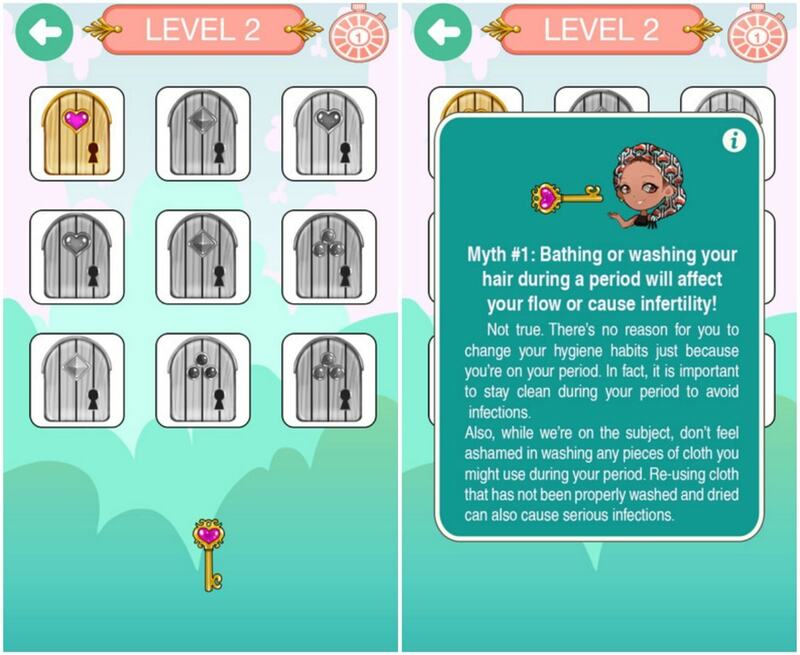 Their latest game ‘MoHiM’, which aims to busts myths around menstrual health and hygiene, launched on the iOS market on August 12. MoHiM (which in Urdu means ‘an effort’ and also spells out the acronym for Menstrual Health Management) is a mobile game based on the concept of aim and catch. The player uses a pair of undies to catch pads and avoid objects that should not be used to control period flow (newspapers, leaves, old rags). Depending on the player’s performance, he/she is rewarded with ‘keys’ that allow them to open ‘myth-buster’ doors in the subsequent level. With each opened door, the player busts common myths such as “you can’t bathe during your period” or “PMS is not real”. “The taboo around menstrual health manifests oppression of a kind that few of us pay attention to,” says Mariam, as she begins to explain how the idea for MoHiM materialised. Although there is a dearth of empirical data on the exact extent and intensity of challenges women face in managing menstruation, there is a growing body of research that sheds light on the nature of their challenges, which include lack of guidance before the first period, lack of adequate washing facilities and lack of access to hygienic sanitary products. Moreover, men’s lack of awareness and unwillingness to facilitate menstrual health management compounds these challenges for menstruating women. For this reason, Mariam and her team at GRID thought it necessary to create a game that could potentially mainstream the conversation around menstrual health. MoHiM thus targets not only women of menstruating age, that is, 13-50 years old, but also men of 13 years and above, so that the latter can learn more about this biological phenomenon that is experienced by 50% of the population. By increasing awareness among all populations, the game aims to make everyone a champion for Menstrual Hygiene. MoHiM’s prototype version has been developed for iPhones and iPads, a version that they plan to refine and build as they continue to test the game in different contexts. Its design is informed by the collective knowledge base of the GRID team’s three international development experts and one gender expert. Also, GRID’s partnership with grass root NGOs working on MHM issues in the field helped them to identify the optimal game design. However, GRID is also developing an Android version of MoHiM in partnership with Femme International, an NGO that promotes women’s health, particularly menstrual hygiene, through education. This Android version is being tailor-made for 3500 secondary school students in three slum communities of Nairobi – Mathare, Huruma, and Korogocho. Not only will the content, art and language of the game be locally informed, but the technology requirements will match low-end Android phones. The game is not expected to effect change in menstrual health habits on its own. A trained facilitator will not only teach the girls how to play MoHiM, but also conduct an interactive workshop about menstrual hygiene and various reproductive health topics. Femme also distributes reusable menstrual management products, such as reusable pads and menstrual cups, thereby providing an affordable menstrual health management solution.Thus, the girls can turn their awareness into action and change their menstrual hygiene habits for good. Some people might argue that most people in need of menstrual hygiene awareness may not have access to devices that will allow them to play MoHim; however, Mariam tells us otherwise. “There are a billion people living under $1.25/day and half a billion playing video games for at least one hour every day,” she says. She goes on to add thatThe Ericson Mobility Report predicts 70% of the world’s population will be using smartphones by 2020. In urban Kenya, for example, where MoHiM’s Android versioln will be introduced, mobile phones are a priority for many adolescents and nearly all households have at least one low-cost Android model. It’s clear that the challenge of fighting poverty is huge, but so is the potential of video games. “We have seen games make waves in the fields of education and health, thanks to thought leaders like Jane McGonigal and Asi Burak, but we are only now gaining momentum,” tells Mariam. “We have seen games for the western world, but what about the people who need them the most, the poorest of the poor. What is the role that games can play in helping them make better decisions, about their environment, their money, their children and their futures? That is a horizon waiting to be explored and the time is now to get started,” she concludes.